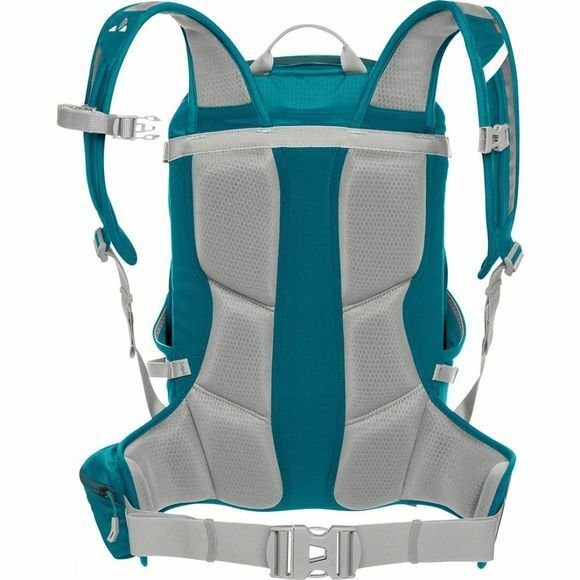 This fully equipped, 14-litre mountain biking pack fits close and comfy thanks to a body-contact suspension system and ergonomic hip belt and shoulder straps, offering pure unadulterated mountain biking bliss. 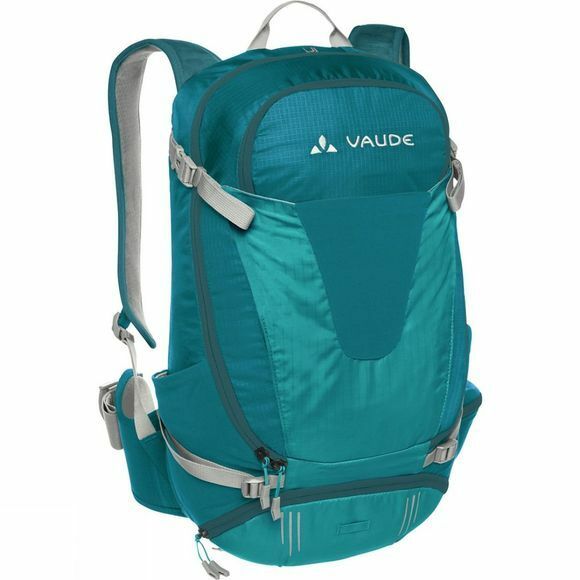 The large main compartment of the Women's Moab 14 Rucksack can be opened wide to allow for easy packing or unpacking and organized touring. The front pocket is great for storing sunglasses, a bike pump and electronic companions. Tools and emergency kits are close at hand when stored in the divided bottom compartment. The side straps can grab your shin guards and be used as compression straps, while other practical details like the hydration system port, rain cover and large helmet holder make your life easier. Adding to your bike independence is the tyre iron that comes attached to the pack.